Product prices and availability are accurate as of 2019-04-13 12:11:00 UTC and are subject to change. Any price and availability information displayed on http://www.amazon.com/ at the time of purchase will apply to the purchase of this product. 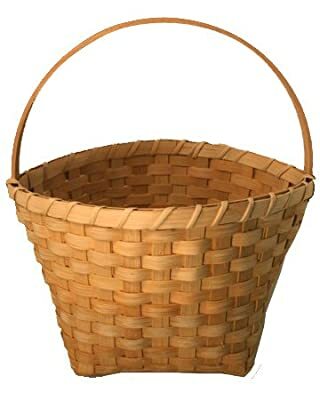 The Williamsburg Basket Kit measures 13" tall and 12.5" diameter. Base is 7x8". Handle included is the 7" Williamsburg. A terrific design with Stop/Start weaving. So much fun! SKILLS LEARNED: Stop and Start Weaving, using Williamsburg-style D handles, Cut and Tuck, rim lashing. V.I. Reed & Cane, Inc. is in its 35th year and 2nd generation as a veteran-owned family business. We are proud to sell our own high quality, Made in the USA basket and seat weaving kits as well as a wide range of other supplies.